Noel Gallagher talks life post-Oasis, plus ‘This Is Us’ composer Siddhartha Khosla, Brandi Carlile and more this week on ‘World Cafe’. Listen Monday-Friday at 11pm on KXT. Last-minute giveaway! 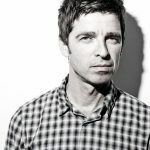 We have a few extra tickets to KXT 91.7 Presents Noel Gallagher and we’d love for you to have them. Noel Gallagher’s High Flying Birds are an English rock band formed in 2010 as the solo project of former Oasis lead guitarist/songwriter Noel Gallagher. Enter before midnight on Monday to win a pair of tickets.